The Wilson Pool, originally constructed in 1958 by Portland Parks & Recreation, was outdated and badly needed enhancements and upgrades. In addition, the pool’s mechanical systems were failing, tanks were leaking, and the pool was experiencing structural problems. 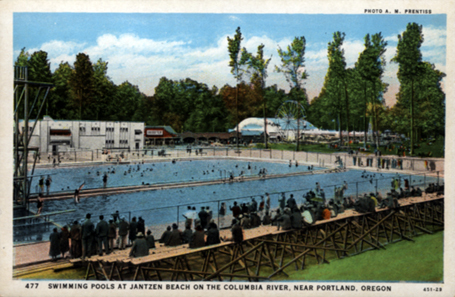 In 2003, the City of Portland commissioned the aquatics expertise of Counsilman-Hunsaker to completely renovate the outdated swimming facility and transform the pool into a state-of-the-art, family-friendly recreation pool. As part of the project, the city retained the existing 25-yard deep pool with waterslide and demolished the 25-yard teaching pool.